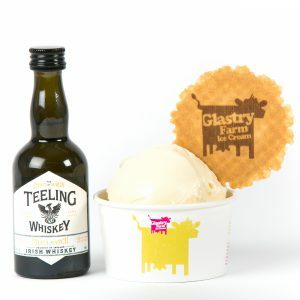 Try our Whiskey Ice Cream on Sunday 18th March at Teeling Whiskey Visitor’s Centre, Dublin. Glastry Farm are delighted to be attending the St Patrick’s Craft Fair at the Teeling Whiskey Visitor’s Centre in Dublin on Sunday 18th March 2018. The Glastry events team will be showcasing a range of our delicious ice creams and sorbets that are made fresh on the farm in County Down. Along with the original favourites including Yellowman Honeycomb ice cream, Chocolate and Salted Caramel ice cream and pear sorbet, we will have the taste sensation that is Teeling Whiskey Ice Cream! With an inclusion rate of 3% Teeling whiskey it is sure to get the taste buds tingling.